Beautiful 3 bedroom home in Curti Ranch with LOTS of upgrades! This 2010 home is located on a large corner view lot, bordering the trail along Steamboat Creek. 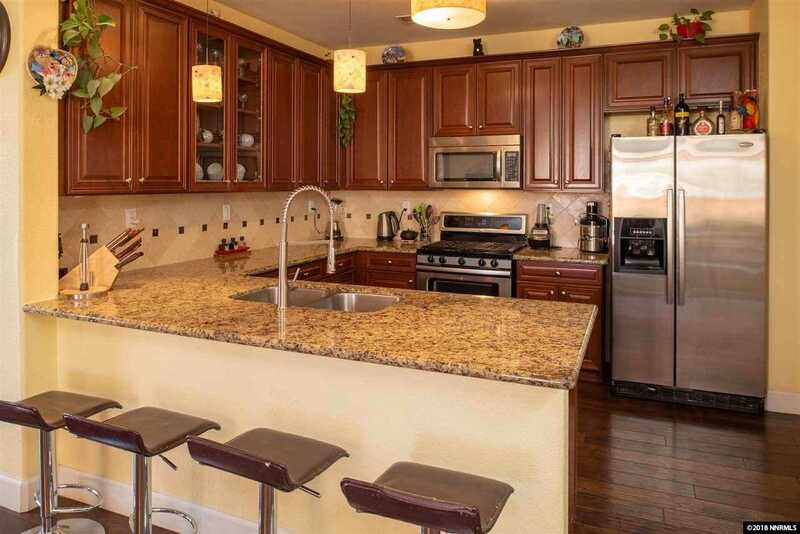 You'll find granite counter tops in the kitchen and bathrooms, tall cherry cabinets, stainless steel appliances, and a gorgeous patio with trellis and a wonderful view of Mount Rose. The home has tasteful and well maintained landscaping in front and back as well as a cement paved and gated RV/boat parking along the east side. SchoolsClick map icons below to view information for schools near 301 Manciano Reno, NV 89521.